The Internal Revenue Service, which has seen its operating budget slashed over the past eight years, may be looking to increase its use of penalties against those who fail to file documents or pay the taxes they owe on time. The IRS is increasingly making use of its legislative rights to impose penalties on late filing, late payment and substantial underpayment penalties in connection with offshore trust and corporate structures as well as FBARs. There are many statutory penalties on the IRS books that have not normally been assessed in the past. That is no longer the case. In their efforts to generate income, the IRS is currently issuing penalties on late filed foreign trusts, controlled foreign corporations, Report of Foreign Bank Accounts, and Report of Foreign Financial Assets, as a matter of course. In the past, these penalties were very rarely assessed, and now, it is a normal occurrence. There seems to be an increased emphasis on its use of penalties for late filings and tax payments evident from recent e-mail notices sent by the IRS and penalties being issued which might have been ignored in the past. Meanwhile, in its recent “Dirty Dozen” list of scams to avoid, the IRS cited was “abusive tax evasion schemes involving trusts,” which we believe is the first time the IRS has included “abusive trusts” on its list. Also included in the Dirty Dozen list for the first time this year, we believe, were “syndicated conservation easements.” These are a type of charitable contribution that under certain circumstances can qualify for a tax deduction, but not, the IRS notes, the way some promoters are structuring them, typically so that investors are able to claim tax savings that “significantly exceed the amount” they invested. 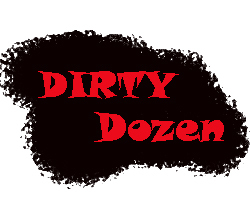 Read and download the IRS 2019 ‘Dirty Dozen’ list here. Feel free to contact us if you wish to discuss your tax situation.